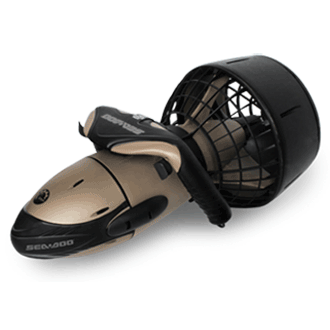 The new Yamaha Seascooter 350LI is a snorkeler's or divers dream come true. With close to 1.5hours of run time and a top speed just shy of 4mph, you'll get to your favorite dive spot quicker, so you can save your energy and air allowing for your best dives every. No worries, with the Seascooter 350LI's 3 speed transmission, you can cruise your favorite spots at a crawl. 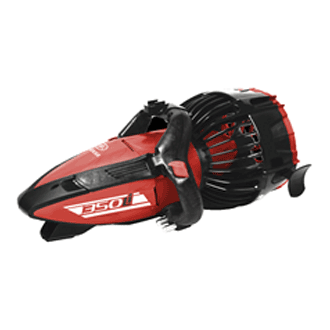 With its long lasting environmentally friendly LI-ION battery system, you'll not only enjoy the benefits of its lighter weight and longer run times with the Seascooter 350LI, but you'll reap the added extra of double the lifespan of traditional seascooter batteries and super quick recharging. 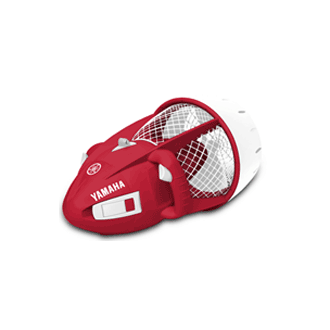 The Yamaha Professional Series batteries can be found here. Also, this new technology allows for the battery to be recharged while in the unit. 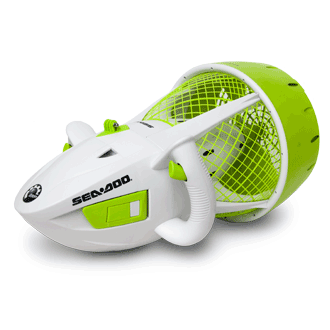 Messing with buoyancy to get it just right is a thing of the past with the new Yamaha sea scooter Professional Series. The Professional Series features a self-filling ballast hull to automatically achieve neutral buoyancy almost instantly. 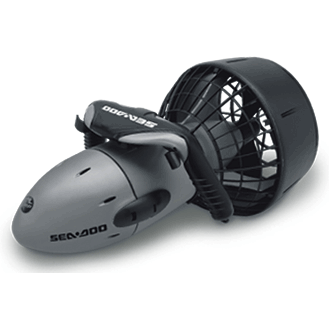 The Seascooter™ 350LI nose cone allows water to freely enter and exit the ballast space allowing the Yamaha Seascooter™ 350LI the ability to become neutral buoyant when submerged, and expel water as soon as it hits the surface. FREE USA SHIPPING Best Price Guarantee!